Adobe kills Creative Suite goes all subscription and pisses off most everyone. Mobile LR will be cloud dependent. Canon having manufacturing issues? 5D MkIII firmware out. New Canon TS lenses by Christmas? No 7D Mark II this year. Canon misses earnings estimates. Pentax updates K-5 II family firmware. RRS and Thumbs Up gear for Leica M. Zeiss to build lenses for Sony NEX and Fujifilm X. X100S firmware update and rumoured X-Pro 2. 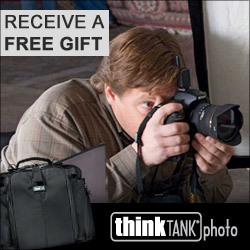 Think Tank releases new bags for DSLM cameras. UK IPO says your posted images are free game.